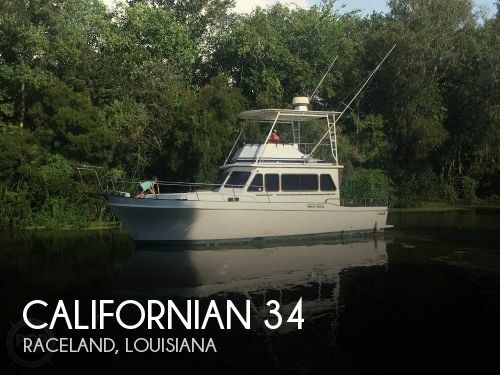 1987 Californian 42 Motor Yacht The 42' Californian, known for it's spacious layout, with two staterooms, convertible dinette & two full heads, appeals to the boater looking to cruise in style and comfort, on a weekend retreat or even as a live aboard. The large Salon with wrap-around windows, allow for natural lighting and features a large convertible dinette, L-shaped seating, ample storage space and an entertainment center. The full service galley and fully enclosed aft deck, allow you to entertain for any occasion. The mahogany and teak joinery interior throughout, matching curtains & decor only add to the overall picture. 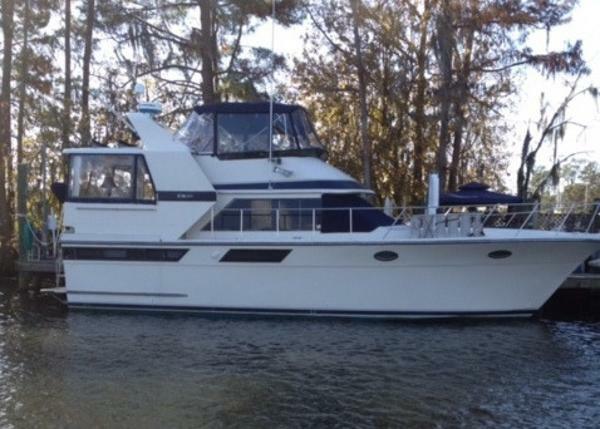 Powered by Twin 3208 Caterpillars and equipped with a Onan 12.5kW Generator, Garmin GPSmap 3206, Autopilot, Furuno Radar and Electronics throughout, M/V Paula, will meet your expectations of a well-built trawler. This one is worth seeing! 1984 Californian Cockpit Motoryacht 43' Californian Cockpit Motoryacht 1984Cool Change The Cool Change has a very spacious and accommodating layout with two queen sized staterooms and two private heads, galley down, large salon and covered aft deck. 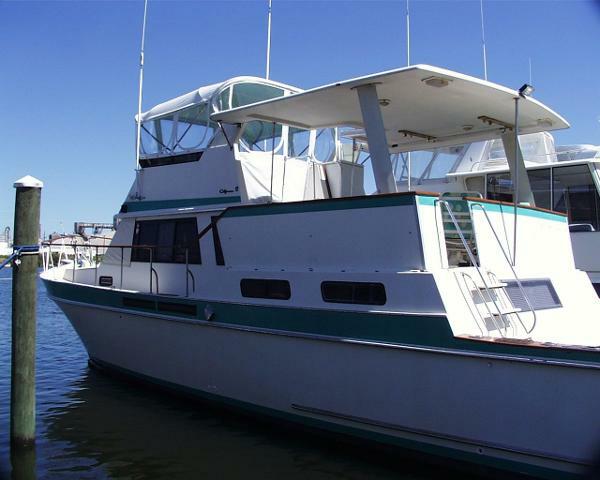 This is a great looper boat or liveaboard.